For composer, percussionist, and instrument collector Stewart Copeland, Sacred Grove Studio is a special place. Within its four walls, Copeland dwells with his many instruments, creating sounds that span genres, styles, influences, and methods. Stewart Copeland reads one of his diary entries from the recording sessions of "Outlandos d'Amour"
We're not a supergroup; we’re a supper group! Who wouldn't want to bang on stuff? 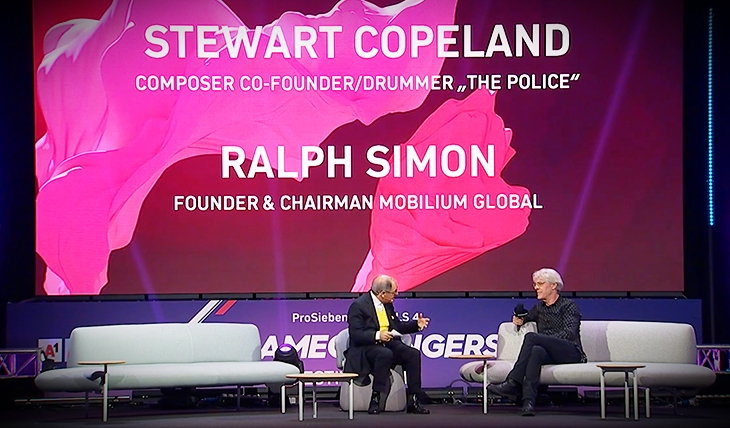 Brian Hardgroove interviews the great Stewart Copeland, drummer of The Police. WHAT HAPPENS INSIDE AN EXCEPTIONALLY CREATIVE BRAIN? STEWART COPELAND interview on INDIEPOWER! 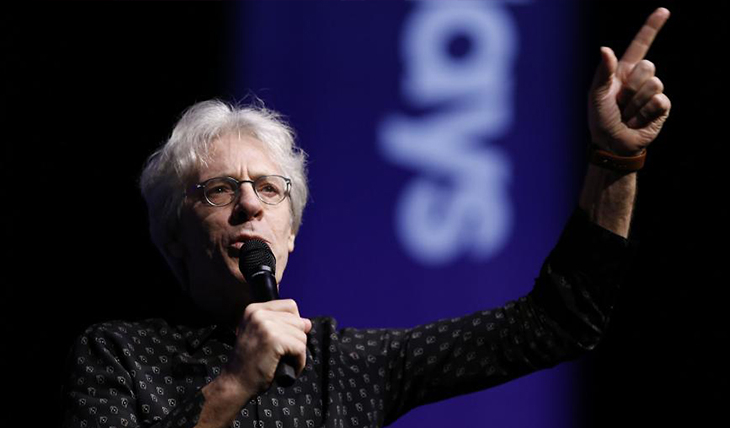 NAMM 2015: STEWART COPELAND INTERVIEWED FOR BACKSTAGE AXXESS! STEWART COPELAND ON DRUMHEADS MAGAZINE! SO WHAT HAVE I LEARNED ABOUT MUSIC? STEWART COPELAND WILL SOON BE ON THE SET OF "HELL'S KITCHEN"! ATHANA SYMPHONIC EXPERIENCE featuring Stewart Copeland - Now available in blu-ray! STEWART COPELAND on the cover of POPULAR 1, the number one Spanish rock magazine!